Destinations of New York State New York State Suppliers - Booth #1228 - Website of alonmarketing! In the heart of Lake Placid is an Adirondack retreat bringing a bit of the outdoors in, allowing guests to relax and recharge. This full-service resort is within walking distance to shopping, dining, entertainment, Olympic experiences and winter activities. With three unique lodging experiences, High Peaks offers something for everyone — a traditional hotel experience in High Peaks Resort, a modern retro-vibe in the newly renovated Lake House, or privacy and serenity in the Waterfront Collection. 177 rooms are available for Group and FIT visitors all year round and will offer your clients the ultimate Lake Placid and Adirondack experience. Discover American history at The Strong National Museum of Play—the ultimate play destination for all ages and upstate New York’s largest year-round cultural attraction. Experience two floors—more than a city block long—of dynamic, interactive exhibit spaces. Explore the world’s largest collection of toys, dolls, games, and electronic games; the National Toy Hall of Fame and the World Video Game Hall of Fame. The Strong is centrally located in Rochester, New York, making it easy to include in itineraries that stop in the Eastern United States and Canada. Include The Strong in your FIT products and GROUP itineraries to WOW your clients. NET rates available. 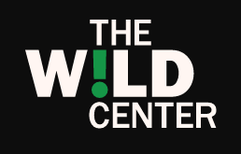 The Wild Center is a state-of-the-art, LEED Silver certified, natural history museum located in the Adirondack Mountains of upstate New York. Hands-on experiences, guided canoe paddles, 81 acres of outdoors and 54,000 square feet of museum help visitors discover all the new ways to see into the wild world. Whether visitors’ perspectives are changed on Wild Walk (an elevated footpath into the canopy of the forest) or they meet a river otter eye to eye, The Wild Center aims to be the catalyst for creating memorable experiences. Both FIT and Groups are welcome! We're Social - Follow us!